Basil, Horseradish, Cilantro, Tansy, Eggplant, Marigold, Peas, Squash, Beans and Catnip. Try different types with waxy texture, good with salads. 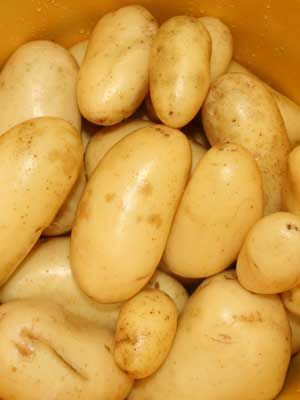 Keep potatoes mulched to protect shallow tubers from sun, which turns them green and bitter.